The Lambertville, NJ Native Who Found Gold ~ The History Girl! Lambertville, New Jersey is well-known for its plethora of good restaurants, antique stores, galleries, and its yearly Shad Festival with its cult-like following. But on Bridge Street sits a small, two-and-a-half story house brimming with local and national history. The James Wilson Marshall House, one of Lambertville's earlier structures, was the childhood home of the man who began the notorious California Gold Rush! The land now encompassing Lambertville was officially purchased from the Delaware Indians in 1703 by the Council of Proprietors for West Jersey. Lambertville's first resident was John Holcombe, who purchased 350 acres in 1705. In 1732, Emanuel Coryell purchased property which included the charter to operate a ferry across the Delaware River. During the Revolutionary War, Coryell's Ferry served as an outpost and crossing three times for General Washington and his troops. Much to the Coryell family's displeasure, the village became known as 'Lambert's Ville' in 1814 when a post office was established and Captain John Lambert was appointed postmaster. He built the stone inn on Bridge Street and operated the post office from the building, which still stands today. Lambertville was officially incorporated as a town in 1849 and reincorporated as a city in 1872. In the nineteenth century, Lambertville, due to its proximity to the Delaware and Raritan Canal and the United New Jersey Railroad and Canal Company (now defunct), became a factory town with a diverse range of industries; lumbering, sawmills, gristmills, paper, iron, and rubber manufacturing. After the introduction of the automobile, the canal, and eventually the railroad became obsolete and the factories shut down, one by one. The town remained stagnant between the 1940s and 1960s. In the 1970s, young people who had grown up in Lambertville but left to make their fortunes elsewhere returned with a mission – to reenergize their hometown. The city began to attract artisans and entrepreneurs who saw potential in the historic homes and storefronts. Dilapidated buildings were restored and repurposed for new uses and much of Lambertville’s eighteenth and nineteenth century charm remains in its architecture. Born October 8, 1810, James was the oldest of four children, and the only male to Phillip and Sarah Marshall. The family lived on what was known as the Round Mountain Farm in Hopewell Township, New Jersey. That section of the township is still known as Marshall's Corner. In 1816, the Marshall family relocated to nearby Lambertville, where James' father constructed a house on approximately five acres of land. James' father was a very difficult man to deal with and it is said that a disagreement with neighbors sparked the family's move. James Wilson Marshall, circa 1884. The house that Philip Marshall built was originally on about five acres of land. Constructed of locally-fired brick and built in the Federal style, it is a two-and-a-half story, three bay, double-pile, side-hall plan residence. On its front exterior, under the eave, is a decorative Adams-style frieze. The recessed front door features raised paneling and a very narrow transom and sidelites. Philip was a cabinet, coach, and wagon maker. It is believed that the woodwork in the home, including doors, and trim, were crafted by Phillip Marshall. The property included a brick kitchen, two-story back addition, with a story-story porch, a wheelwright and wagon shop, barn, and smokehouse. At the age of fifteen, James left the family homestead because of his abusive father. He was beaten by his father over shining his shoes on a Sunday. Living with others in town and sometimes returning home, James departed New Jersey in 1834 and headed west. After spending time in Indiana and Illinois, he settled on a Missouri River farm in 1844. Not long after, he joined a wagon train heading west and arrived in Oregon in the spring of 1845. He did not remain in Oregon long and left in June 1845, heading south along the Siskiyou Trail into California, eventually reaching Sutter's Fort. The Marshall House after restoration in the 1970s. John Augustus Sutter hired Marshall to assist with work at his sawmill, and around the fort with carpentry duties. Sutter also helped Marshall to buy two leagues of land on the north side of Butte Creek and provided him with cattle. The Mexican-American War began in May of 1846 and Marshall volunteered to serve during the Bear Flag Revolt. He returned to his ranch in early 1847, and discovered that his cattle had either strayed or been stolen. Without a source of income, Marshall lost his property and soon entered into a partnership with Sutter for the construction of a sawmill. Marshall was to oversee the construction and operation of the mill, and would in return receive a portion of the lumber. He built the mill in Coloma, about forty miles upstream from Sutter's Fort on the American River. In January of 1848, the tailrace of the mill was excavated so that the correct amount of water to operate the sawmill would flow. Checking on its progress every morning, Marshall noticed shiny flecks in the channel on the morning of January 24, 1848. Marshall and Sutter determined through a series of tests on the metal that it was certainly gold. They managed to keep their discovery secret for several months, but once word leaked out the California gold rush was underway. Laying claim to the gold was difficult, as no one truly owned the land in the frontier of California and Marshall was eventually pushed off the land by prospectors. He then spent several years wandering in the hills near the town, prospecting and subsisting on little more than rice, but never struck it rich. Marshall briefly returned to Lambertville only one other time in his life. He stayed roughly one week with his mother and sister. During that short stay, he ran out the door of the house one morning in his red pajamas to greet an old friend. This behavior was not acceptable in Lambertville, and his sister told him he had to go back to California. Thus, he left once again and never returned to New Jersey. For the last dozen years of his life, Marshall worked as a blacksmith and handyman in the town of Kelsey, California, where he occasionally sold his autograph and developed a well-earned reputation as a drunkard. 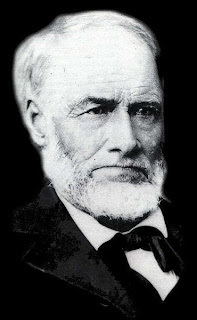 In 1872, the California legislature awarded Marshall a small pension, good for two years, for his discovery, which was halved in 1874 and discontinued in 1876. He died August 10, 1885 in Kelsey, a penniless bachelor living in a small cabin. A monument and tomb was erected in Marshall's honor in the 1890s by the State of California at the site of the discovery, the first monument in the state. The Marshall House second floor bedroom. The Marshall property in Lambertville was sold in 1832 to the Ely family, which the Marshall's daughter, Abigail, married into, after Phillip's death. In 1882, Hugh Ely sold the property to St. John's Roman Catholic Church, which used the home as part of their parochial school and convent. In 1964, the church decided to abandon their current buildings, tear them down, and build a new school. As bulldozers began tearing down properties along Bridge Street, Mrs. Alice Narducci stood in front of the Marshall House, insisting that they run her down before they take the house. Mrs. Narducci's tactic paid off and with the help of other local residents, convinced the church to leave the Marshall home and deed it to the New Jersey Department of Conservation and Economic Development in 1967. Since 1967, the home has been restored as to how it would have appeared when the Marshall family resided there. The home has been furnished as authentically as possible according to the inventory taken after Philip Marshall's death in 1832. Only one piece in the house today originally belonged to the Marshall family. A meticulously restored, circa 1830, Hitchcock-style commode chair resides in the upstairs bedroom of the home. In addition to the furnished front parlor and second floor bedroom, the home also features exhibits on Lambertville's history and some of its many industries. As you walk by the home today, ponder the life of a New Jersey native, who by pure luck, discovered gold and jumpstarted California's economy over 150 years ago. But quite ironically, he never had the chance to take advantage of his 'find' and lived out his last years alone and destitute. I really, really want to visit Lambertville soon. I did drive through it once :). It just looks like such an interesting place! It is a great town. Don't miss out going to a great little bar called the Boat house. There are nice antique shops and the streets and atmosphere are gentler and less tourist oriented like New Hope across the way. Lambertville is also wonderful during the holiday season.